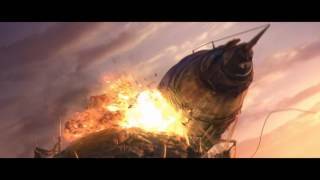 Destruction rains down upon Azeroth. Demons of the Burning Legion surge into our realm, heralding the return of the dark titan Sargeras, Ravager of Worlds. 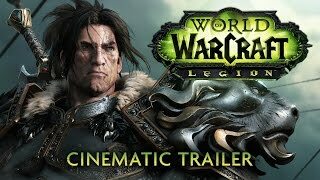 As doom comes for the Alliance and the Horde, Azeroth's heroes must seek salvation among the ruins of the Broken Isles, doomed center of ancient night elf civilization and birthplace of myths dating back to the world's creation. There, they'll harness legendary and forbidden powers to hunt unspeakable nightmares and unstoppable fel armies - and save their world from falling under an endless burning shadow. 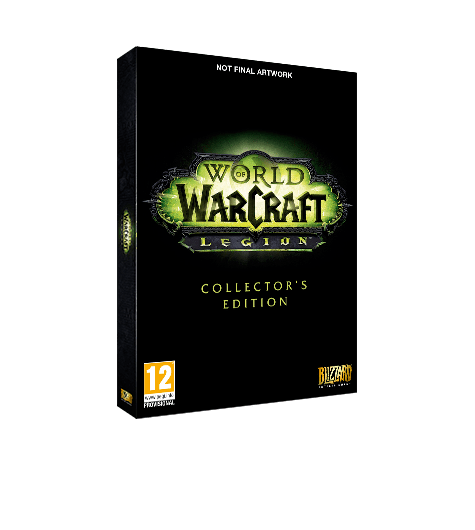 World of Warcraft®: Legion™ is the sinister sixth expansion to Blizzard Entertainment's acclaimed massively multiplayer online role-playing game. In the face of hopeless odds, Azeroth's champions must summon the strength to wield fabled Artifacts, powerful weapons of lore that hold the potential to bring down the Legion. They'll also strike an infernal pact with the Demon Hunters of the Illidari, an ancient elven order of fel-tainted assassins... and accursed followers of the infamous Illidan the Betrayer. The Burning Legion has returned in the epic new expansion for World of Warcraft. Explore the Broken Isles and find the key to turning the tide, with new Artifact weapons and an all new Demon Hunter class. Stalk Your Prey as a Demon Hunter: Turn the tainted power of the Legion against them as an all-new hero class - the vengeful Demon Hunter. Wield Legendary Artifacts: Build a battle-forged bond with your own Artifact - a legendary class-specific weapon that transforms and grows in power as you battle the Legion. 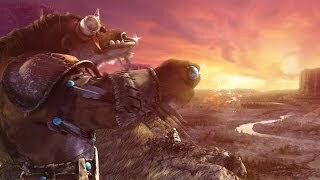 Explore the Ancient Roots of Azeroth: Seek your world's salvation among the forbidden ruins of the Broken Isles. Unify Your Order: Find refuge from the felstorm at your Order Hall, a site of great power linked closely to your character's class and cause. Boost to Level 100: Prepare to face the invading armies of the Legion with a level-100 character boost, and experience this night-shrouded new chapter of World of Warcraft alongside your friends. 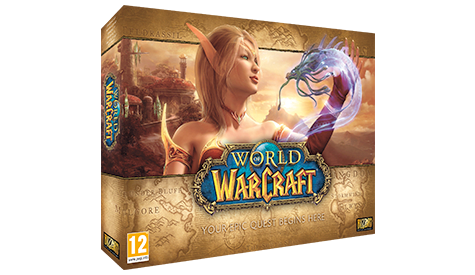 For the ultimate World of Warcraft fan, pre-order the Collector's Edition today! Character Boost - immediately raise one character to level 100. World of Warcraft® - Illidari Felstalker Mount and Nibbles Pet - Stalk the invading demonic forces atop one of the Burning Legion's own twisted hounds of war, and summon a delightfully demented companion to keep you warm by the fel fire. Heroes of the Storm™ - Felstalker Mount - Charge down the lanes of the Nexus and wreak havoc on the opposing team astride this fierce fanged terror. StarCraft® II - Fel Protoss Portraits - Take back Aiur in infernal style with psionic-infused StarCraft II portraits of Illidan and Gul'dan. Diablo® III - Wings of the Betrayer - Equip your hero with Illidan's wings and strike terror into the hearts of Sanctuary's demons. Across Draenor's savage jungles and battle-scarred plains, Azeroth's heroes will engage in a mythic conflict involving mystical draenei champions and mighty orc clans, and cross axes with the likes of Grommash Hellscream, Blackhand, and Ner'zhul at the height of their primal power. Players will need to scour this unwelcoming land in search of allies to help build a desperate defense against the old Horde's formidable engine of conquest?or else watch their own world's bloody, war-torn history repeat itself. New to World of Warcraft? Never fear, we have everything you'll need to set out on your most epic adventure! 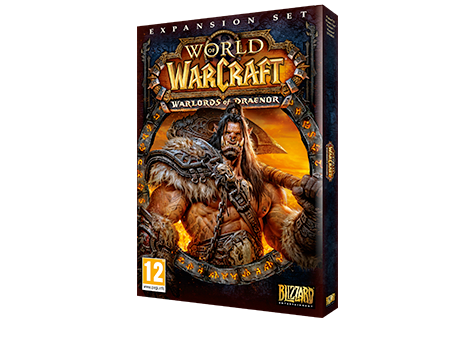 Pick up the World of Warcraft Battlechest, including the base game, three expansions and 30 days of play. Give the perfect gift for any World of Warcraft fan. Spend Battle.net Top-Ups on a wide range of in-game extras including game time, new Mounts, Pets and more! 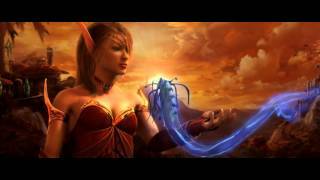 Secure your World of Warcraft account with an Authenticator. 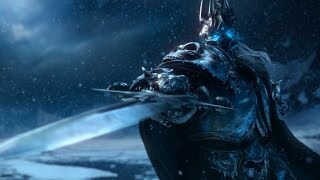 The World of Warcraft Authenticator adds an extra level of security and helps protect your Battle.net account. 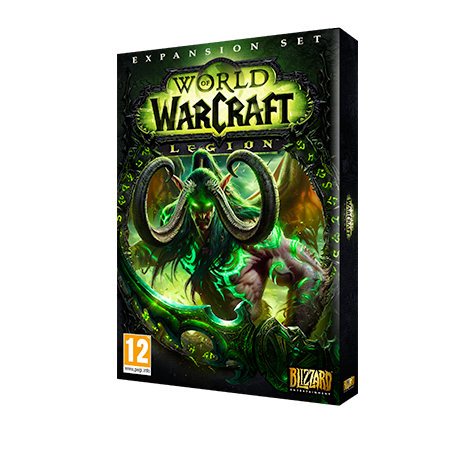 We have everything you'll need for true World of Warcraft fans. Including POP Vinyl! figures, clothing, books and more! 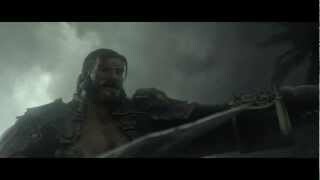 See even more fantastic games from Blizzard Entertainment. With the likes of Overwatch, Diablo and StarCraft there's a game for everyone. Nielsen has discovered that the PC game was played more than the other games in the top ten combined.